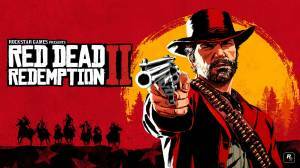 Red Dead Redemption 2 is a Western-themed action-adventure video game that is a prequel to the 2010 title Red Dead Redemption. Set in 1899, it follows the story of outlaw Arthur Morgan, a member of the Dutch Van der Linde gang who after a robbery in the town of Blackwater goes wrong are forced to flee. With the authorities and the best bounty hunters in the nation massing on their heels, the gang must rob, steal, and fight across America to survive. As internal divisions threaten to tear the gang apart, Arthur must choose between his own ideals or his loyalty to the gang.